I could tell she was not convinced and was about to explode again, so I quickly explained myself. Here is the reality. I am a youth coach. I believe, at the youth level, it is very important everyone on the team can do things to get playing time. But remember, this is not the NBA, NFL, MLB, or any other professional organization, and I do not have to play my best players in order to win so I can keep my job. Winning is not the point, but wanting to win is. 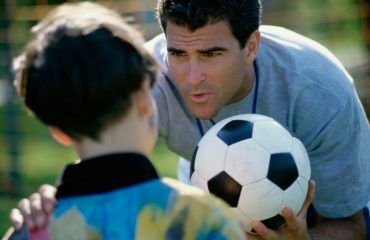 A huge psychological benefit of coaching youth sports is there is less pressure to win, and as a coach I can focus on player development without worrying about getting fired. 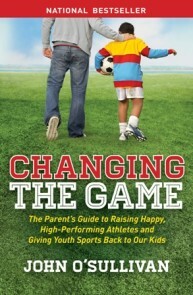 Ask the average youth athlete why they play sports and I bet they would say because it’s fun. Maybe they will say because they get to hang out with friends. Maybe they like the coach. Rarely will they say it’s only because they like to win. If I have a win-less season as a 5th grade football coach and every athlete wants to play again the next year, was I successful? That actually happened to me. In 2013, we lost every game; we essentially went defeated. Every game, the coaching staff made sure every player played before the first half was finished. Every Monday the whole team showed up ready for another week. At the end of the year party, I was brought to tears. I asked the team to raise their hand if they planned on playing the next year. Every single athlete raised his or her hand. I just happened to run into one of those athletes a few months ago at his lacrosse game. (I am not coaching, but I was driving by, heard a whistle, and I cannot resist). You know what we didn’t talk about? Losing every game. I asked him what he remembered about the season and he said, “It was a lot of fun, and you let us play tag at the end of practice.” He thought it was fun. He played a lot and yes, he was one of my favorites. Keep in mind we lost every, single, game. At the beginning of every season I hold a parent meeting where I present my goals for that season. They include character development, skill development, tons of encouragement to take chances and lots of high-fives. Notice: winning is not on that list. It doesn’t need to be. When you keep things simple and kids are learning and improving every week, winning is a by-product. Two years before that season, we won every game, including the championship. For both seasons, I used the same playbook. That playbook is still being used successfully today by some coaches I have given it to. And let’s not fool ourselves; the scoreboard at a youth game is for the parents and the coaches, less so the athletes. So yes, I play my favorites. Punctual: I look for athletes that show up early, stay late, and do the extra work not because they have to, but because they love to! I hate wondering whether a player is going to show up that day, or if he/she is going to stroll in late and I am going to have to teach them all over again. Now I get it; if a kid is late to youth practice, it’s not his or her fault. Being a parent is tough and getting all their kids to practice on time is just not always possible. I’ll never punish a kid for being late to youth practice, as long as when they come in they jump right into the drills and get to work. However, if a high school kid is late to practice, it’s the athlete’s fault and that athlete will be held accountable. If your child wants to fall in the category of one of my favorites, I am happy to work with them before and/or after practice for a bit…or even better, help you with some things you can do to help your child improve. Committed: I appreciate when an athlete is trying to juggle two sports, but this should not be an every week occurrence. When a player shows up to practice, I expect them to be ready to practice, not exhausted because they just got done with another practice. When you commit to a team for a season, see it through. I do not believe a young athlete should specialize, a subject I have written about before here and here. 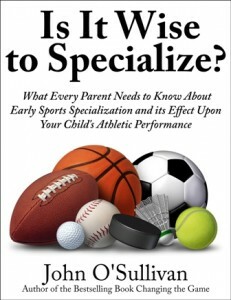 Our articles on sport specialization, such as “Is it Wise to Specialize?” are some of our most read. But I do believe that players who commit to one sport per season get the most out of that season, are less likely to get injured, and more likely to improve. If an athlete shows up everyday, works their tail off, and shows their commitment to the team and to getting better, it is very likely they will play a lot. Adaptable: The game is on Saturday and I get a call Friday night saying that your kid got in trouble at school and they won’t be at the game the next day. Coaches, sound familiar? Now I need someone to play a position your child may have never played before. Being adaptable is an indispensable attribute for an athlete. It drives me crazy when parents and young athletes tell me that is not their position when I ask them to go in and try something new. As long as they are not in danger, then why not? They need to go out there and give it their best shot. If they really want to play at the high school or college level, they need to be adaptable and be unafraid to try new things. Aggressive: As a coach I do whatever I can to keep game time assignments simple. 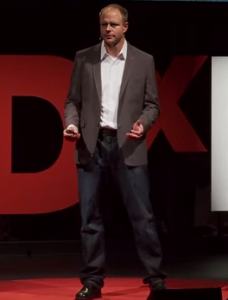 I tell an athlete, “This is your position, and these are your two options. ( I try to keep it at no more than two options). Pick one and go all out. If you pick the wrong one, it’s okay, just go all out.” I love athletes who are not afraid to fail. Athletes who are not afraid to fail are free to take chances and be aggressive with their performance. I love athletes who seek out challenging situations and embrace failure as a necessary part of learning. Confident: Confidence is something that builds over time. If my team is in week-three of basketball practice and my athlete is still afraid to shoot the ball, then we have a problem and we need to fix it. 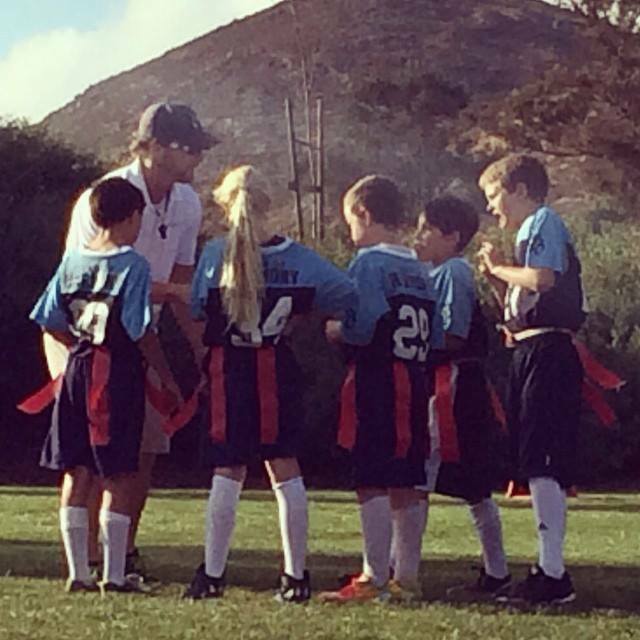 It’s okay, it’s youth sports and it will take time to build confidence. However, if the athlete is afraid to shoot the ball because her parents will be disappointed that she missed, then I have a problem with the parent and that is a whole other issue. Don’t mind me, I’ll be on the sideline ecstatic that she shot the ball regardless of the result. You know what that does? It shows her it’s okay to shoot and she will most likely shoot again. She is bound to make it eventually. So yes, I do play my favorites. When I make the lineup, I favor the athletes who are confident, growth mindset individuals. I love players who are aggressive, adaptable, and committed to the cause–the ones that show up on time and ready to play. Every one of these characteristics are qualities that have nothing to do with talent and are 100% within an athlete’s control. Yes, that is right, every athlete has the opportunity to be one of my favorites. Every athlete has the opportunity to embrace the attributes all coaches look for in an athlete. Parents, do your young athletes a favor: teach them to have these six attributes by modeling them yourself, because kids may not always listen, but they rarely fail to imitate. And coaches, let your athletes know that every one of them has the ability to become a favorite of the coach. It has little to do with how fast they run and how high they jump, and everything to do with the six intangibles that make them a great teammate. Are You Setting Goals AND Expectations for Your Athlete? Do You Know the Difference?